Six new car models have been given a "poor" ranking in a theft-risk report on keyless entry vehicles. Thatcham Research assessed the vulnerability of cars to computerised theft, where criminals hack the key fob signal to enter and start a vehicle. Models rated poor were the Ford Mondeo, Hyundai Nexo, Kia ProCeed, Lexus UX, Porsche Macan, and Toyota Corolla Hybrid. However, car industry trade body the SMMT criticised the methodology. The SMMT said Thatcham "does not compare like with like" and offered "a signpost to thieves". Car theft has been on the rise in the UK, rising by 27% from 2017, Thatcham said. On Wednesday, ratings agency Fitch had warned that UK motor insurers were unable to keep pace with the rising cost of claims after a steep increase in thefts. In 2018, there was £376m worth of car theft, according to Thatcham Research chief technical officer Richard Billyeald. "Security has come a long way since vehicle crime peaked in the early 1990s. But the layers of security added over the years count for nothing when they can be circumvented instantly by criminals using digital devices," he said. 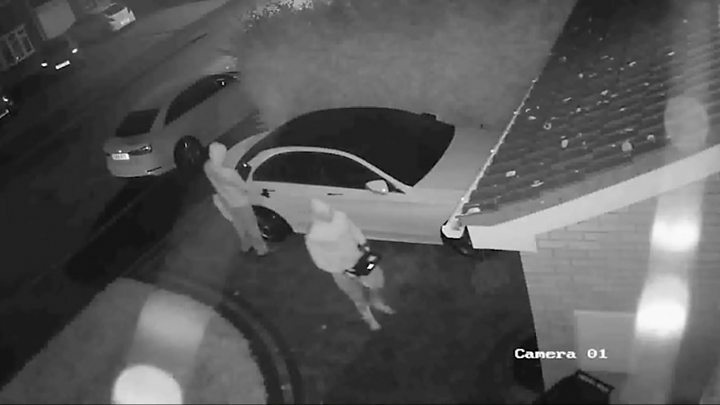 Thatcham looked at how susceptible new car models were to so-called "relay attacks", where thieves boost radio signals between the car and a key fob in a house to unlock and start the car. Once the cars have been stolen, they will be stripped for parts, a police spokesman said. The parts could then be used to replace broken parts on a written-off car, allowing it to be sold on, or the parts could be sold direct to consumers via internet sites, the spokesman added. Thatcham said all of the six models had "good" security aside from the vulnerability. Car industry body the SMMT said it had "serious concerns" about Thatcham's rating system. Mike Hawes, SMMT chief executive said: "It does not compare like with like, failing to differentiate vehicles with keyless and traditional entry systems in a combined rating and failing to distinguish between different model grades and specifications. Ford said: "Ford Motor Company takes vehicle security seriously and continuously invests in technology to deter theft of, and from, our vehicles." The US car giant recommended people double-lock their cars, and store their keys in a "suitable metal box" that will block radio signals. Hyundai said it "will continue to develop the advanced technologies of Nexo and all of our cars to incorporate effective counter-measures against all forms of criminal attack as quickly as we are able". Kia Motors said it was aware of concerns around thefts from driveways and said it was "constantly seeking to upgrade and enhance its security systems to counter this threat". It added that Thatcham had not been in contact with Kia about the testing process, and said that in February Thatcham gave the Kia Proceed a security rating of four out of five stars. Porsche had not responded to a request for comment at the time of writing.